Destination Covered : Chennai - Tirupati - Chennai - Kanchipuram - Mahabalipuram - Madurai - Rameshwaram - Thiruvannamalai - Auroville - Madurai - Puttaparthi. Upon Arrival our representative will meet and greet you in an Indian salutation ritual. After a warm welcome, you'll be shifted to your pre-booked hotel. During the noon we'll leave for sightseeing of the locale tourist attractions such as the Freemasons Hall, Kamaraj Memorial House, Kamaraj Memorial House, Santhome Cathedral, Government Museum, War Memorials, and Thousand Lights Mosque etc. During the sundown go on a date with the second largest beach of the globe, the Marina Beach. After that retreat to the hotel and post dinner take a good night sleep. Board your flight to Tirupati at the timings allotted. The Tirupati shrine is positioned on the Tirumala hills which are famous as the Seshachalam / Venkatachalam. This Dravidian style temple architecture comprises of large and exquisite gopurams / towers. Upon arrival Visit the Lord Balaji for your prayer service. After the darshan stopover at the variety of temples at Tirupati. Enjoy sleepover at your hotel in Tirupati for the night. Take your flight to Chennai and shift to the hotel upon arrival. Post brunch proceed for neighboring seeing of the sights. Visit kapleshwara temple, Art gallery, St. Thomas church and also the 2nd longest costal beach of the world, marina Beach. Arriving at the hotel, relax in the sundown followed by a lip-smacking buffet. Post breakfast- progress to Kanchipuram (golden city of India). Address the Vishnu kanchi and Shiv kanchi temples here. Check-in at the hotel. Hang about at the hotel overnight. Post breakfast, tour Kanchipuram and stopover at a variety of temples such as the Sri Vardaraja Perumal Temple, Sri Kailasanathar Temple, Sri Kamakshiamman Temple, v etc. Shopping is well reserved for the evening at Kanchipuram. Pick and choose your collectables. Post breakfast- progress to Mahabalipuram from Kanchipuram (golden city of India). Upon arrival check-in at the hotel. Hang about at the hotel overnight. Sunup breakfast, progress to explore Pallava rock cut caves, shore temple, Panch ratha temple. Afternoon is remarked to spend time at the sea shore. Hang about at the hotel overnight. Sunup progress to Madurai. Check-in at the hotel upon arrival. Vacation at Thirumalai nayak palace, meenakshi temple shrines- Parvati and Sunereshwara. Hang about at the hotel overnight. Post brunch stopover at Gandhi Museum, Koodal Azhagar Temple, and Mariamman Teppakulam. 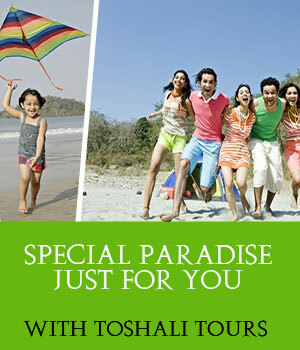 Explore the land as per your wish at Madurai. Arriving at the hotel, relax in the sundown followed by a lip-smacking buffet. Post breakfast progress to Rameshwaram. Upon arrival, check-in at the hotel. After a long and tiring journey you may leisure for the rest of the day and gear up energy for Day 11. Start your Rameshwaram exploration from the Ramanathswamy Temple, Kothandaraswamy Temple, and Dhanushkodi etc. Freshen up yourself in the evening at the beaches. Have a peaceful sleep at Rameshwaram. Today we'll progress to Madurai airport in order to take our flight to Pondicherry. Upon arrival we'll assist you to your pre-booked hotel and then to the famous Auroville village. Explore the golden vile and its locale town to pick and choose your favorite collectables. Stay at the hotel and enjoy a good night sleep after dinner. Early morning leave to explore the important tourist attractions of the Auroville village. Feel privileged to be present at the yoga and meditation group of pupils. Later on visit the heritage attractions of Pondicherry. On time board your flight to Puttaparthi via Chennai. Upon arrival you may check-in at the tourist hotel or an ashram (as per your preference). In the Religious discourse of the day offer your prayers, services and enjoy your grand pooja (prayer session) at Puttaparthi. Stay at Puttaparthi for the night. Your tour comes to an end today. Retreat back to Chennai via air and move to your beyond passage to your homeland.